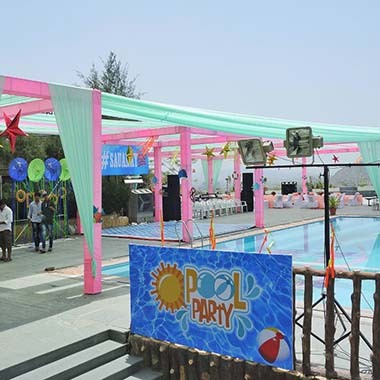 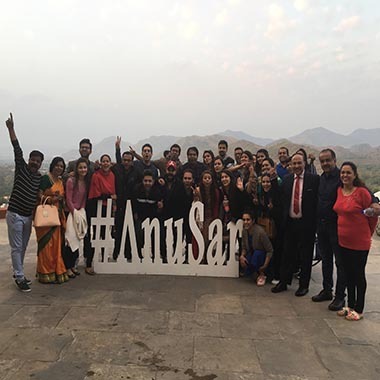 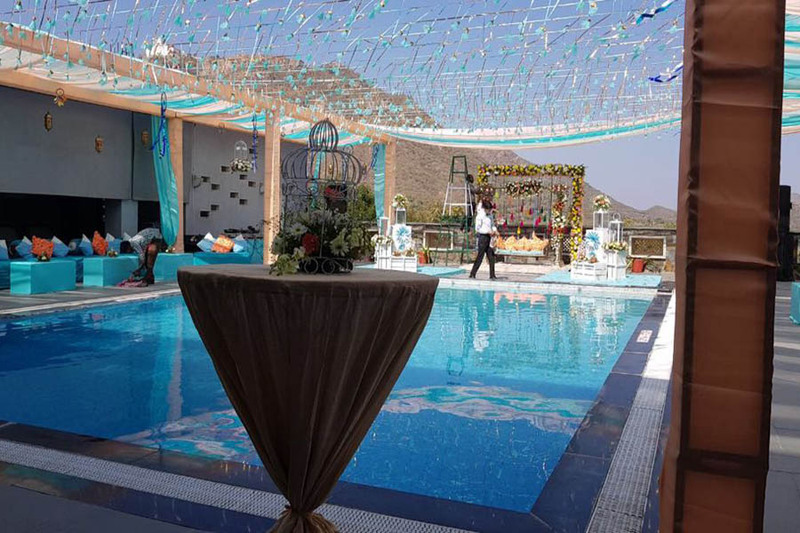 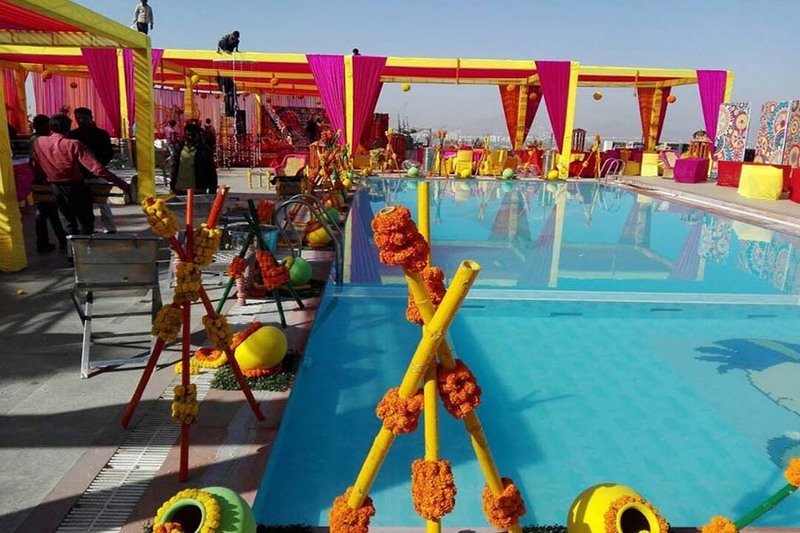 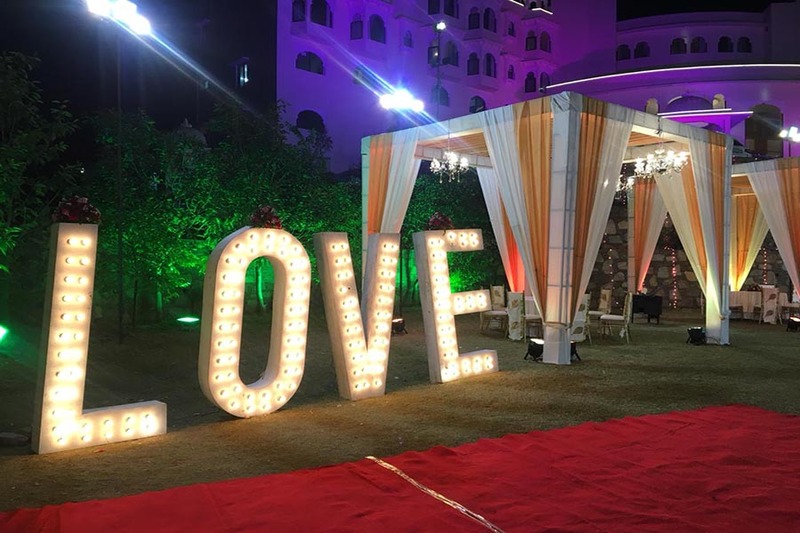 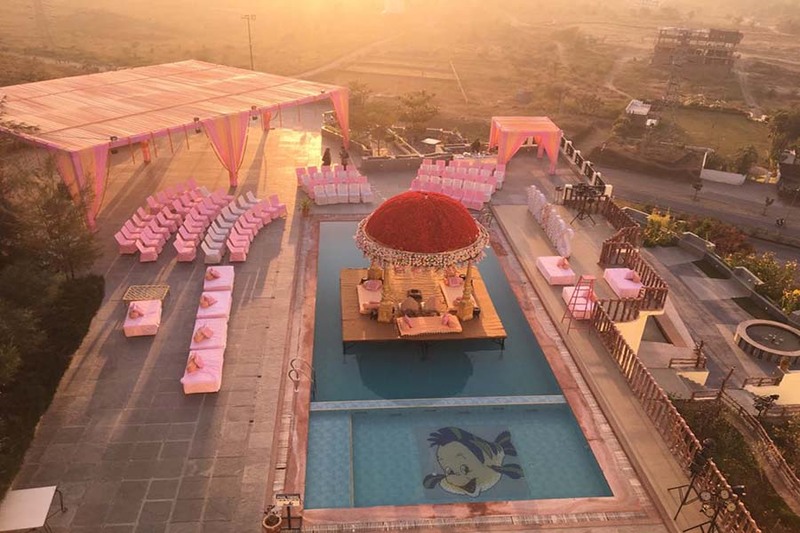 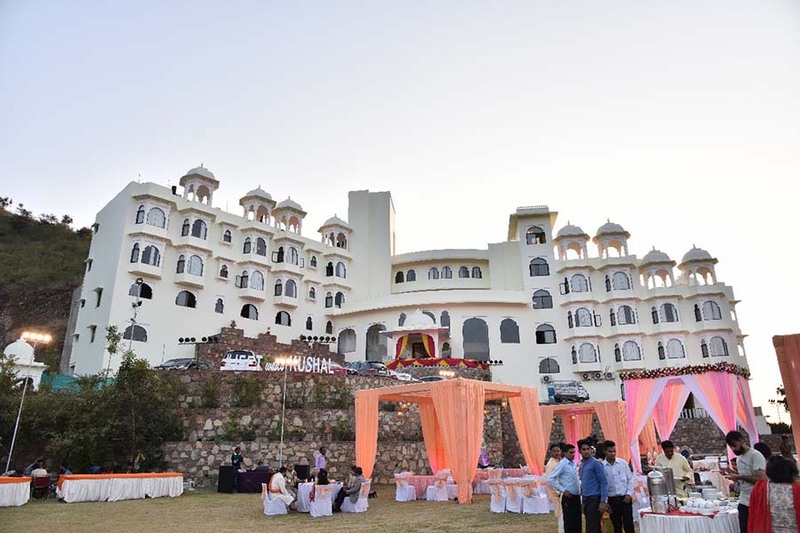 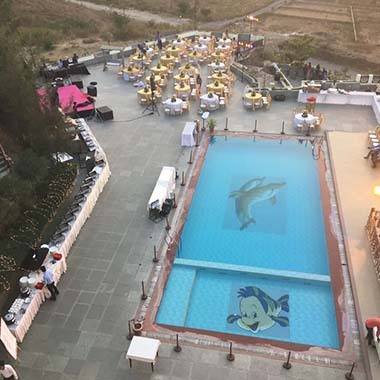 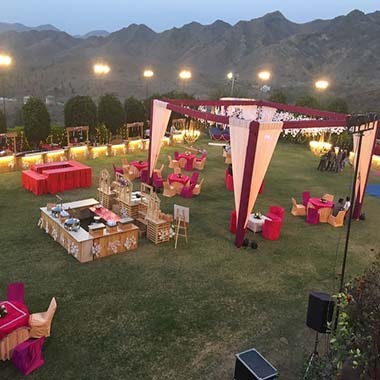 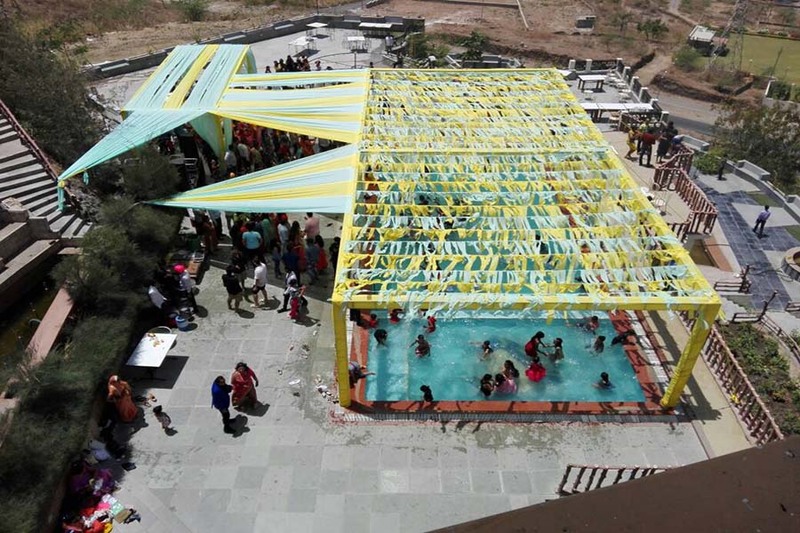 Bhairavgarh Udaipur, is not only a delight for its guest, but also it is considered as one of the most popular destination wedding venues in Udaipur, Rajasthan. 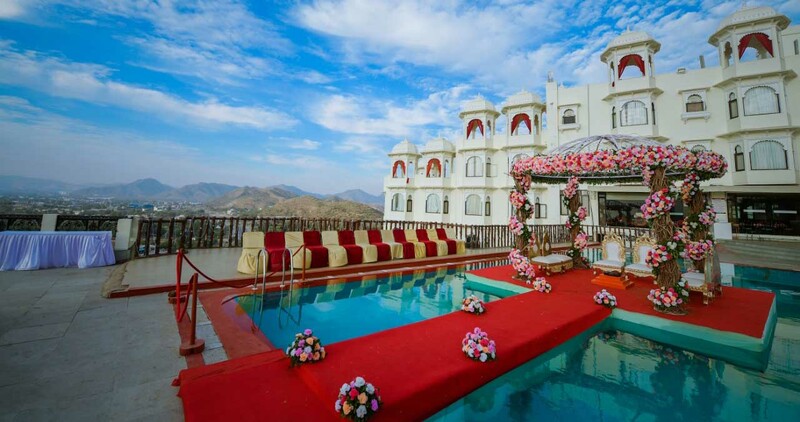 The royal charm and grandeur of Bhairavgarh Udaipur proves to be the perfect backdrop for wedding Destination. 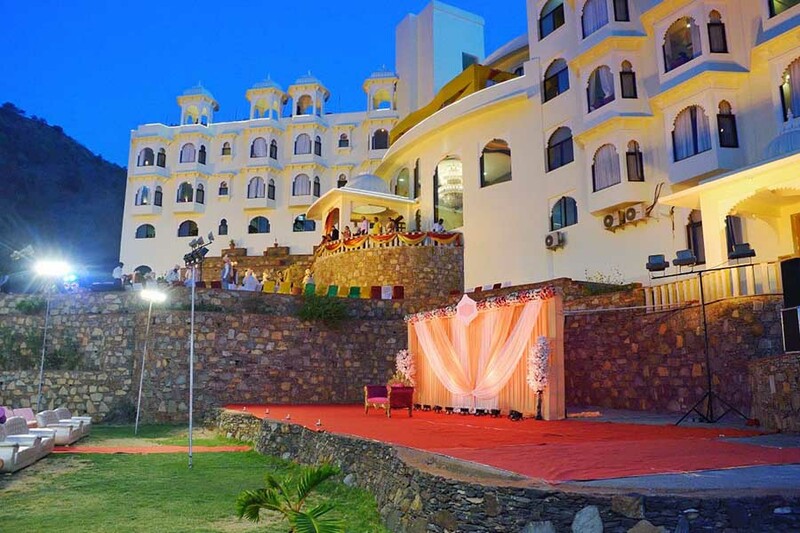 This 4 star resort not only organize the main day event, but it also lets you have your pre and post wedding ceremonies here. 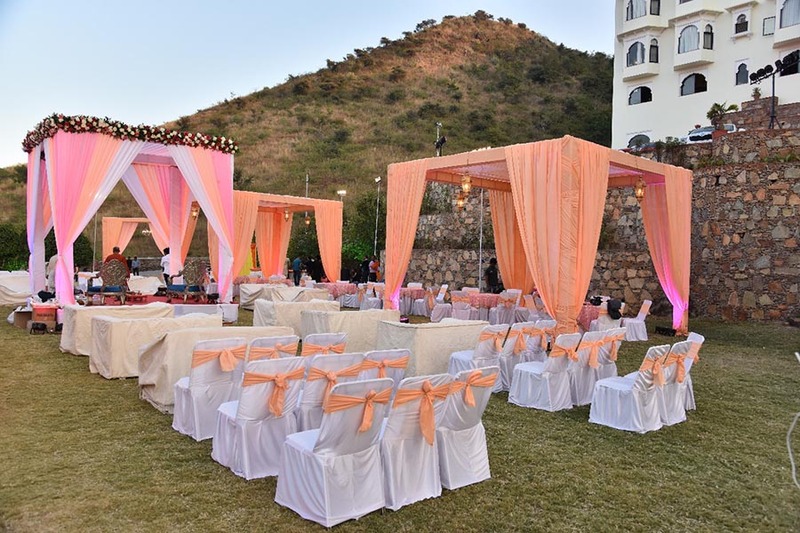 Its beautiful lush green lawns make for a marvelous backdrop to capture the most memorable moments of your special day! 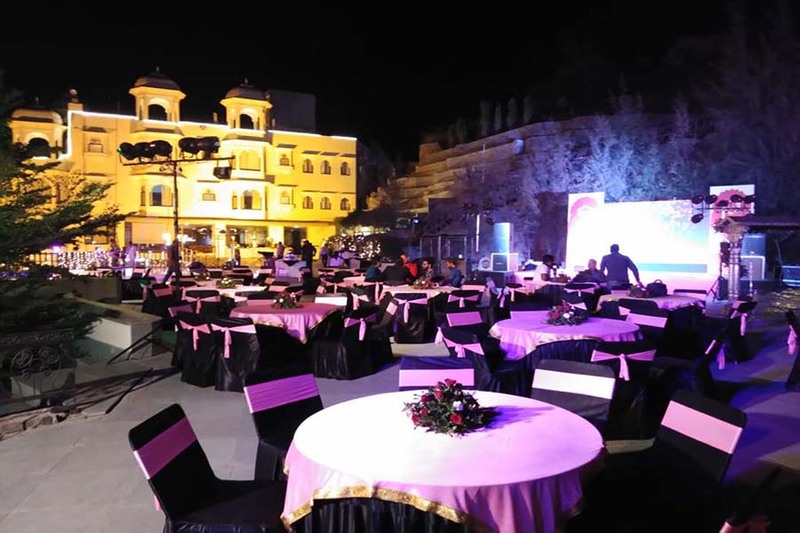 Bhairavgarh looks like a paradise once it’s decorated with lights and flowers. 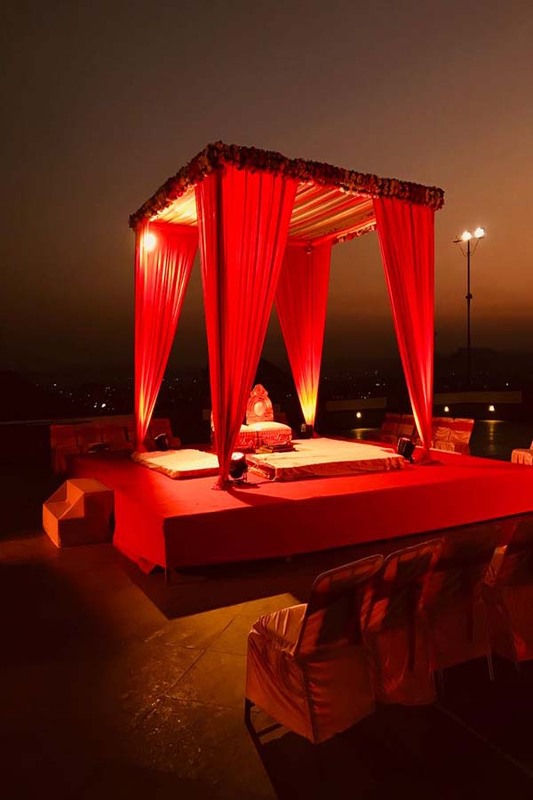 So, get ready to fall in love again if this is the venue you are picking for your D-day! 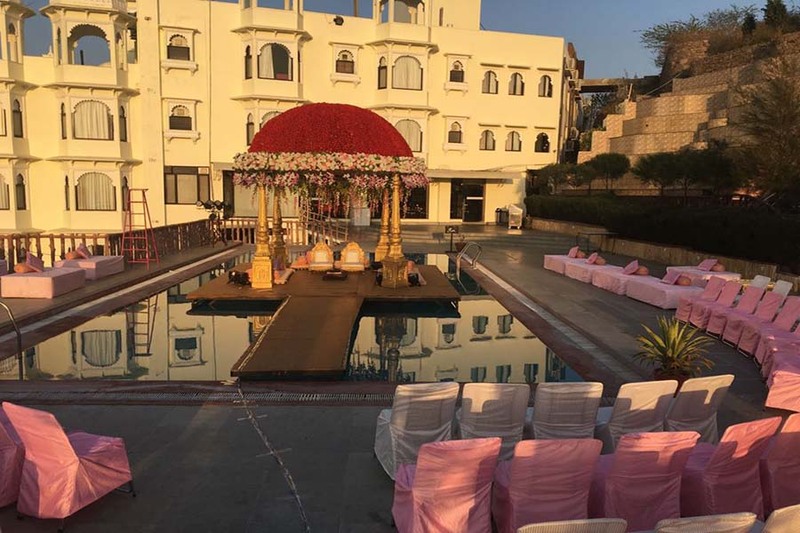 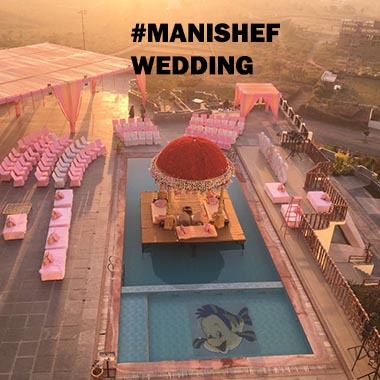 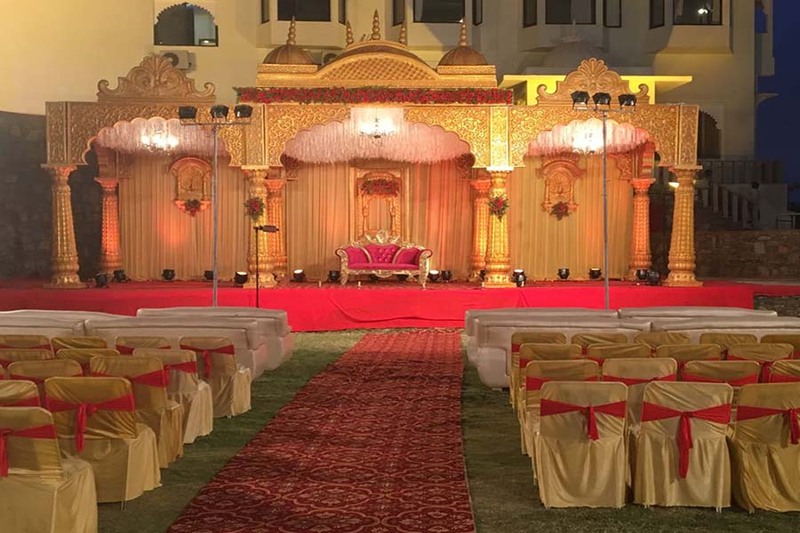 Bhairavgarh has a special team to plan your wedding lead by Mr. Niraj & Mr. Muzeeb, they will assist in planning everything related to the wedding ceremonies. 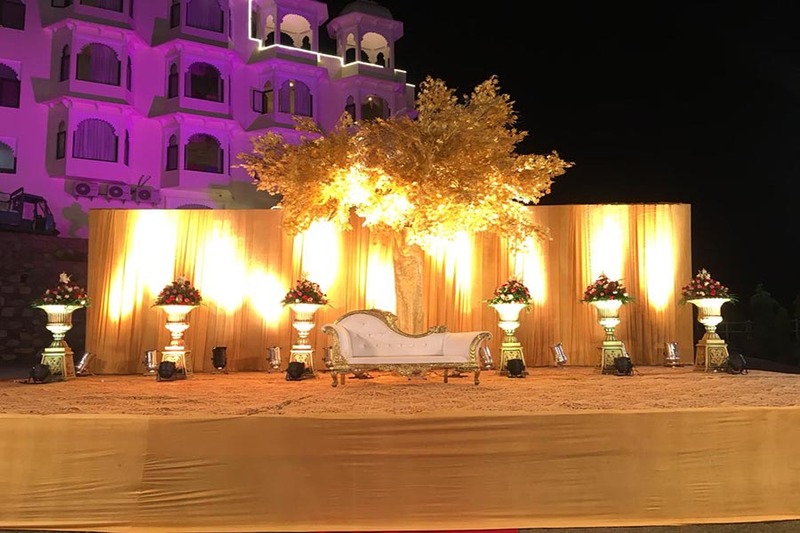 Their team will assist in all the aspects of marriage from Wedding Décor that includes the aisle, mandap, tables chairs and linens, centrepieces, stage, dance floor, lighting, LED and floral arrangements to arranging make-up and hair artists & Mehendi artists for the bride and the bridal party, arranging music & entertainment and other miscellaneous stuffs such as fireworks, elephant or horses for the procession, special crockery and cutlery etc. 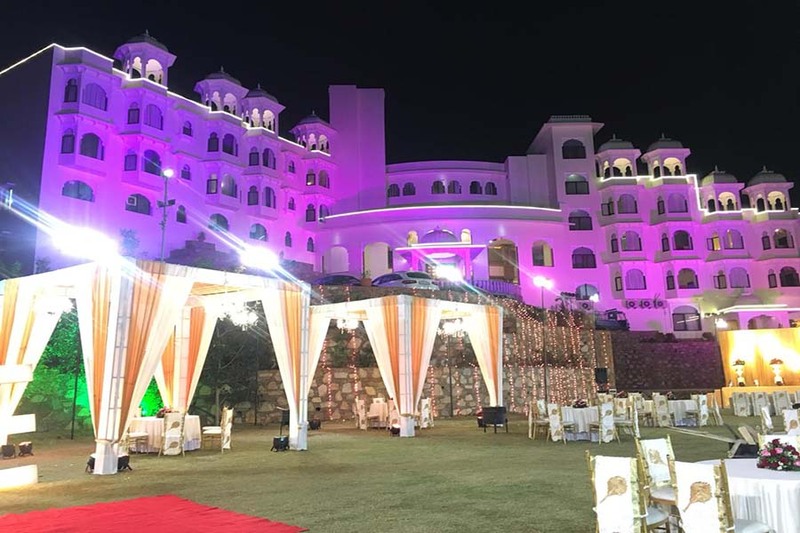 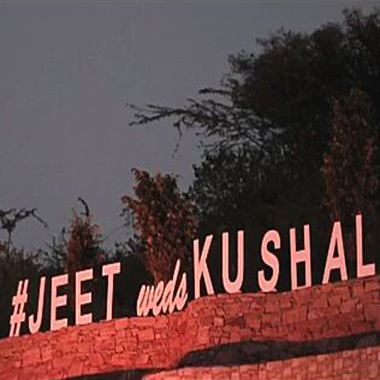 Enquire now about the wedding packages of this popular destination wedding venue In Udaipur, Rajasthan by filling up the form above.